All change for the PS4? , according to a source. 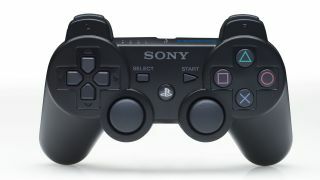 The source told VG247 that the controller is "more or less" the same shape as the PS3's DualShock, but the touchpad will be in place of the Start, Select and PlayStation buttons. These will be moved, though the source didn't say where to. The L2 and R2 buttons are also said to have been remodelled for the PS4 control. A couple of weeks ago, a source told Edge about the Share button, which was said to send screenshots and videos online to be viewed by friends. It was also suggested that it would capture your last 15 minutes of gaming activity, to broadcast on the web. If Sony hasn't included it, maybe it's not as keen on adding a social aspect to the console as rumours made out. Or it could have another method up its sleeve. Sony has sent out invites to "see the future" on February 20, which is hotly tipped to be the unveiling of the PS4. So we've not long to wait to find out what Sony has in store. Until then, our PS4 rumours vid should help keep your cravings at bay.